Vaccinations have been instrumental in improving the health of people and animals over the last few hundred years. They are a vital tool in preventing many viruses from causing severe, often fatal, disease. Protecting your pet against disease with vaccination is an important part of your responsibility as a pet owner. Different species need different vaccinations. The vaccinations available for each species are listed below. Core vaccinations should be given to every animal. Non-core vaccinations should be given to animals at particular risk of the disease. 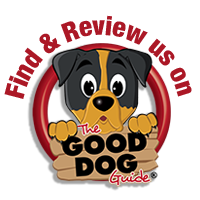 This classification is based on the WSAVA and BSAVA recommendations for dogs and cats. I follow the WSAVA guidelines for vaccinations as much as possible. The aim is to vaccinate as often as required but no more often than needed. I recommend that all puppies and kittens receive core vaccinations every 2-4 weeks from 8-9 weeks of age with a final vaccination at or after 16 weeks of age. For full details, see the puppy or kitten webpages. Rabbits can be vaccinated from 5 weeks of age. I promote titre testing of dogs and cats to ensure immunity against the core diseases. (Titre testing is not available for leptospirosis as this always requires annual vaccination). Annual vaccination is required for all rabbits. Vaccination against other diseases will depend on your pet’s lifestyle. At the annual health check, I will discuss the best vaccination protocol for your pet. Where possible, I use non-adjuvanted vaccines for cats which reduces the risk of injection-site sarcomas.